The Doctor (Matt Smith) returns as series seven of the new incarnation of 'Doctor Who' kicks off, following a good 9 or so months away from our screens. The Doctor, Rory (Arthur Darvill) and Amy (Karen Gillan) once again team up - taking on a group of particularly unhinged Daleks. The relative disappointment of the last series and its insistence on making the difficult-to-love River Song one of its primary characters has tempered my excitement for this new series. And I started to fear the worst when lines such as the following were delivered early on: "How much trouble are we in? Out of 10? ELEVEN." Thankfully, writer Steven Moffat kept the cheesy dialogue to a minimum from then on, aside from his cringeworthy use of calling the Doctor "the predator". Another worry was the re-appearance of the Daleks, a group of villains so tied to the Doctor Who mythology that they appear with alarming regularity. By the end of this series opener however, and a new twist in the dynamic appeared. Indeed, this Dalek storyline proved fairly satisfying, albeit with an ending that seems to have almost literally erased some of the Doctor Who canon. Here, the Daleks capture the Doctor (as well as Rory and Amy, who are on the verge of divorce) in order to go on a mission that even the Daleks are fearful of. The Daleks discover a foreign signal transmitting from their Asylum (courtesy of the smart and sassy Oswin, a surprise appearance from Jenna Louise-Coleman) and require the Doctor and gang to visit the planet and ensure that none of the insane Daleks can escape through the same way that Oswin managed to enter. The only way to ensure safety is to switch off a forcefield on the planet allowing the planet to be "cleansed". 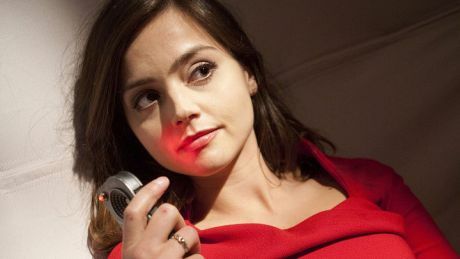 As usual, and in typical Moffat style, the best moments of the episode are the more emotional beats - in particular, when the Doctor tenderly asks just what he can do to fix Amy and Rory's marriage. Similarly, the Doctor's cry for help later in the episode is an unusual but pleasing reminder of his fallibility - "the Doctor requires companions", perhaps the overriding truism for this episode. The final resolution of the episode has a jarring similarity to the ending of 'The Victory Of The Daleks', which itself wasn't an especially original idea. Nonetheless, 'The Asylum Of The Daleks' is a solid opening episode and an excellent introduction to Jenna Louise-Coleman, who we'll gladly be seeing more of in the not too distant future. 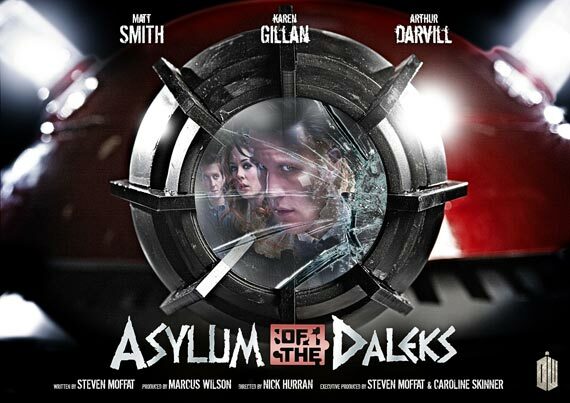 Watch 'The Asylum Of The Daleks' on BBC iPlayer until 20:09, Sat 6 Oct '12.